Yuseung Kim is a design researcher and multimedia designer. He is interested in the social implications of emerging technologies and digital devices on our daily experiences. He explores notions of time and space by re-structuring the familiar world in unfamiliar ways. His methodology is interpreting and provoking data by using the language of visualization to create narratives. He is currently a user experience designer at Yahoo! in the US. He holds a master’s in fine arts in media design from the Art Center College of Design and a bachelor’s in fine arts in visual communication design from Seoul National University. Austin Lee earned his master’s in fine arts from the Graduate Media Design Program at the Art Center College of Design where his thesis focused on the inscription of movements in a future of digitally enabled environments. His research interests include using the environment as a communication medium through applying computation in creative contexts, prototyping and storytelling to address interesting aspects of the modern digital life. In 2010 he was awarded the NASA Space Grant to work at NASA JPL as a visual strategist and researcher. 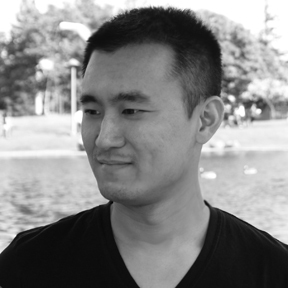 Lee is currently a master’s candidate and research assistant at the Tangible Media Group at MIT Media Lab. While working as a freelance photographer, Sam Luescher began to study visual communications at the Basel School of Design. He then studied silkscreen techniques, spray paint and edible type at The Cooper Union in New York City for a semester. Later, he went to Zurich, Switzerland for a couple of years, where he worked as an interaction designer. From that experience, he decided to become a web app and mobile developer. Today, Luescher is a research assistant with the Tangible Media Group at the MIT Media Lab. He currently lives in Cambridge, MA. Kshitij Marwah is interested in novel and diverse visual forms, social and interaction design paradigms ranging from imaging systems for the future to interfaces for ubiquitous access to the information deluge around us. He is currently pursuing his master’s at the MIT Media Lab. He completed his undergraduate studies in computer science and engineering from IIT Delhi with his thesis jointly at the MIT CSAIL and Harvard Medical School. Before this, he was a visiting student at Stanford University. He also interned at Google to create the next prodigy application for seamless socio-functional connectivity and at IBM on enabling mobile-based financial transactions. He is an entrepreneur, spawning companies as diverse as financial advising to location-aware aggregator services. Our presentation introduces a curriculum to transform designers into innovative thinkers, disruptive technologists, inventors, creative leaders and entrepreneurs within the emerging paradigms in design and technology. Our goal is to widen designers’ perspectives, thereby empowering them to become today’s problem solvers as well as speculators of the near future. The curriculum offers core studio courses and workshops. A workshop is a process that allows students to tinker and “make as a way of thinking,” which is balanced with regular coursework that focuses on more rigorous research methods. Core studio courses teach students how to apply design capabilities to different scenarios and deliver projects that can push the boundaries of modern technology in the context of an original vision. The goal is to enable students to communicate their ideas, genuinely inspire and constantly push the limits in a creative context.